Group I: Monday June 16 & Thursday June 19, 2014. Group II: Monday June 23 & Thursday June 26, 2014. 9:00 AM - 1:00 PM each day, Integrated Sciences Building 321. 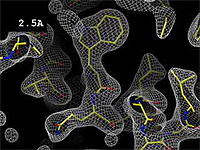 You can see molecules without Java, using JSmol. in the two main tools of this course: Proteopedia.Org and FirstGlance.Jmol.Org. For most other sites that display molecules in Jmol, you will need to install and enable Java. Java will also make Proteopedia and FirstGlance run faster and smoother. See four forms of Jmol. Follow these instructions for installing/updating and enabling Java. Can you see this Gal4:DNA complex with Java (Jmol_S)? If you got Java to work, use the Preferences tab in FirstGlance to make Java the default. 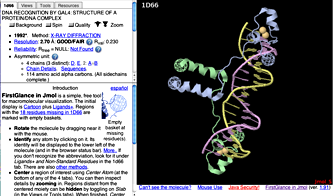 Then this link to Gal4:DNA should use Java (Jmol_S). Some sites use an older, unsigned Jmol Java applet. An example is this explanation of Protein Secondary Structure. Can you see the molecule? Make sure to Enable Unsigned Java Applets for this website. Later in the course, you may want to enable other websites. Go to Proteopedia.Org and take a look around. 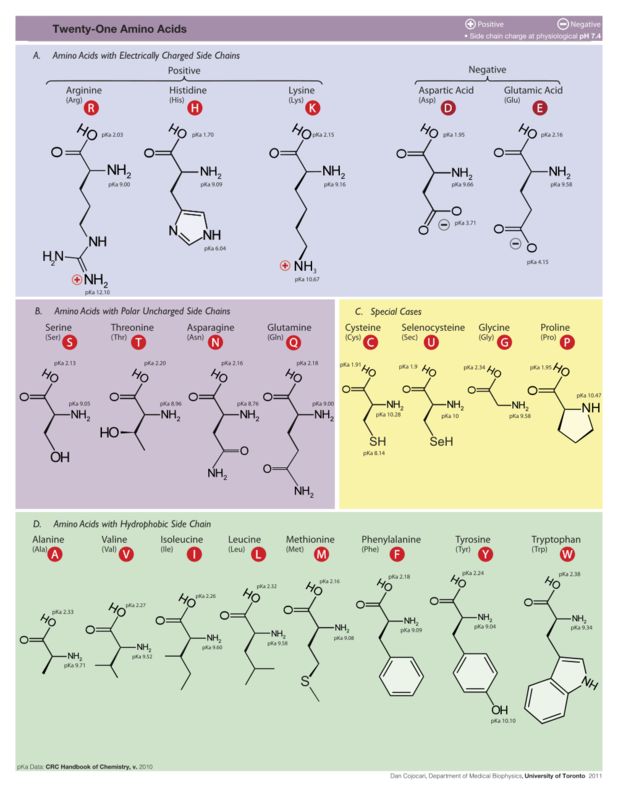 Try searching for your favorite molecules. Avian Influenza Neuraminidase, Tamiflu and Relenza. Identify by touching (shows a "hovering" report). Pop up any molecular scene. Has a page for each of the >100,000 PDB entries, showing it in Jmol. Link to FirstGlance in Jmol on every PDB code page. Get the amino acid sequence of your protein. You could find it in UniProt.Org. Write down any PDB code(s) of interest! Alpha helices are right handed (with L amino acids). C=O receives hydrogen bond from N-H of 4th residue ahead. Protein Architecture at Lehninger's Biochemistry*. 1qdq (cathepsin B, noting the conserved surface Gly, Pro, Arg -- Why?). Go to Proteopedia.Org, enter the PDB code in the search slot. At the page titled with the PDB code, under Resources, click on the link to FirstGlance. Sequences: Crystallized vs. Full Length. Alignment at UniProt. Hydrophobic core: Hydrophobic/Polar, then Slab. Salt bridges in Charge View. Sidechain distributions in Vines View. FirstGlance -> Resources Tab: Orientations of Proteins in Membranes. Try making a comparative/homology model. Submit your sequence (delete any His tag first!) to Swiss-Model	. Use Automated Mode.